The Sensex and the Nifty have moved in a range over the last few weeks. Even at these levels, the Sensex at a trailing p/e of 26 times, which is way above the historic average. It therefore makes sense to carefully evaluate your options before investing. Here are a few good stocks that could do well in the coming years and should be bought. This is despite the volatility we are likely to see ahead of the General Election results on May 23, 2019. H.G. Infra Engineering is a stock that could benefit from robust infrastructure development. The company is an excellent play on highways, water projects, bridges, roads etc. It caters to some very large contractors like L&T, IRB Infra, Tata Projects etc. What is most interesting about the company is that its solid execution capabilities has enabled it emerge as an independent bidding player in very large road projects. H.G. Infra Engineering is also likely to see its debt reduce significantly, with a debt to equity ratio of just 0.2 times by FY 2019, thanks to proceeds from the IPO. The company's shares are trading at just Rs 273, compared to the IPO price of Rs 270. Over the last few years (2013-2017) the company has grown at a compounded rate of 37 per cent. There is reason to believe that it would grow rapidly, give its strong execution capabilities and the order flows from the NHAI. The stock is trading at just 14 times its estimated EPS of Rs 19 for 2018-19. The promoters hold a very high stake of slightly more than 73 per cent in the company. Th stock remains undervalued at the current levels and is a good pick. In view of the problems at IL&FS group, housing finance stocks have come crashing down. The worries are over liquidity and regulations for NBFCs, including housing finance companies. Shares in Indiabulls Housing Finance Company have come crashing down from levels of Rs 1,444 to the current levels of Rs 830. Some of the worries for the sector, may not really be a bother for IndiaBulls Housing and let us see why. IndiaBulls Housing Finance company is the only non-bank company in India to follow strict and conservative practise of repayments through a third-party trust managed by Axis Bank Trustee, wherein all scheduled repayments are transferred to the Trust 7 days in advance. The company is confident of delivering a net profit growth of 17 per cent to 19 per cent for 2019-20. The core strategy of its business is to sell down pools of loans while retaining a spread door to-door over the entire length of the loan. While total assets under management is expected to grow 20%-25%, balance sheet growth is expected to be around 10%, this strategy will not only allow the company to grow its business without raising fresh equity capital, but will also help increase RoE. Indiabulls Housing Finance has solid liquidity and capital adequacy. It is expected to easily grow at 20 per cent, compounded annual growth rate over the next few years. We believe that this company can do well in the coming years. IndiaBulls housing Finance can easily achieve an EPS of Rs 122 by 2020-2021. If you apply a p/e of 15 times, the stock should trade at a price of Rs 1,800 in the next 2-3 years. This would leave a potential of doubling of investor wealth in that period. The dividend yield on the stock itself works to around 5.06 per cent at the current levels. A good stock to buy at the market price of Rs 830. Interestingly, Indiabulls Housing Finance is also seeking approval for a merger with Lakshmi Vilas Bank. 14 shares of IndiaBulls Housing Finance would be offered for 100 shares of LVB. If the deal go through and RBI approves the same, it could be a win-win situation for IndiaBulls Housing, according to brokerages. This is another good reason for buying this low priced stock. Shalby Ltd is a renowned hospital chain, that are considered as leaders in "knee replacement" surgery. The company is almost a debt free company, with return on investments that are probably the best for a listed hospital chain. The reason to buy the stock of Shalby are plenty. The promoters of the company own more than 79 per cent shares in the company. It also reported a decent net profit for the quarter ending Dec 30, 2018, despite slightly higher expenses on advertising and start-up operations in select new hospitals. Going ahead with the commissioning of new hospitals the profits are expected to improve a great deal. Shalby is one of the cheap low priced hospital stocks that individuals should buy. The company can report an EPS of Rs 8 for 2019-20. This means the stock is trading at just 14 times this earnings. Hospital stocks are known to receive very high discounting of 30 to 40 times. There is no reason the shares should trade at such low valuations given the decent profitability and margins in the past. One can buy the Shalby stock with a long term perspective in mind. Also, in case there is a sudden crash in the markets, healthcare stocks tend to protect capital as they are largely considered as defensive plays. The shares off Shalby Ltd have barely moved higher along with the market. In fact, while the markets have gained significantly in the last few months, the shares of Shalby have languished near the Rs 130 mark. It maybe just time to look at this stock. This article is strictly for informational purposes only. It is not a solicitation to buy, sell in securities or other financial instruments. Greynium Information Technologies Pvt Ltd, its subsidiaries, associates and the author of this article do not accept culpability for losses and/or damages arising based on information in this article. The author owns Shalby Ltd shares. 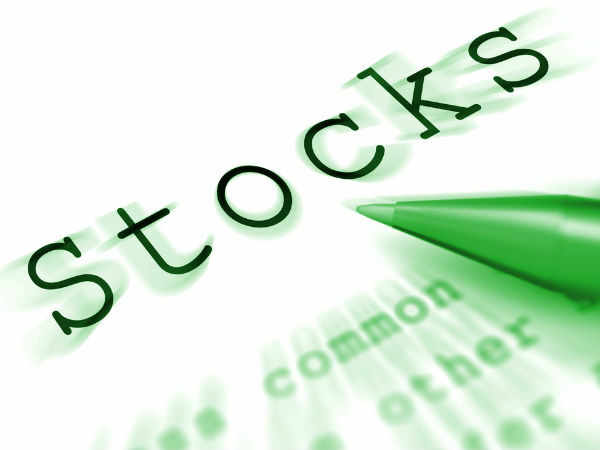 It is important to remember that with effect from April 1, 2018, there would be a long-term capital gains tax that would be levied on stocks. Therefore, investors may not that there would be a 10 per cent tax that is applicable.